Ani DiFranco’s visionary approach to folk music captivates her fans, inspires political change, and demands accountability from our leaders. Her songwriting is keenly prophetic, and her deeply revealing storytelling evokes a powerful sense of empathy. For her impassioned songwriting and masterful guitar skills, Ani DiFranco is lauded as one of our nation’s greatest singer-songwriters. For her blunt critiques of political corruption and unwavering advancement of feminist ideals, she is a cherished cultural icon. 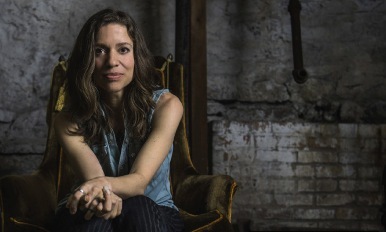 Throughout a career spanning multiple decades, DiFranco has released over 20 albums and garnered critical acclaim, all while constantly rejecting and challenging a mainstream music industry dominated by male voices and influence. Her music forms a patchwork of distinct experiences and viewpoints that together tell the tale of a seasoned musician and acutely insightful observer.